Tired of running drive wheels into the ground? Capture the pinnacle of performance in traction and toughness in the new DuraTred line of high performance drive wheels. DuraTred’s unparalleled combination of load bearing endurance and traction capabilities in both dry and wet applications makes it the wheel of choice for high load and torque applications. Compare the performance profile of DuraTred with that of urethane and you will see that DuraTred will help you resolve your short life problems – decreasing down time due to frequent changeout and lowering life cycle cost while increasing quality of performance. Also, with DuraTred’s greater traction capabilities, compressive loads for pinch wheel applications can be lowered in comparison to urethane - thus decreasing the size, weight and cost of your supporting structure. Available in harnesses ranging from 75 to 93 IHRD, the right DuraTred wheel is readily available to match your needs. 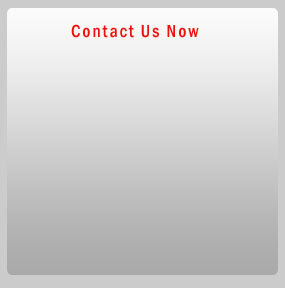 Contact DuraTred today for further information and to start you on the DuraTred path to better performance. 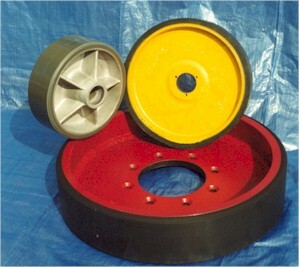 DuraTred solid rubber wheels provide High Load Capacity, High Traction, Extended Life Custom rubber tires. A revolutionary new blend of synthetic rubber, it will dramatically out perform tradition rubber and urethane tires, With a measured dry dynamic coefficient of friction of 0.65, twice the load capacity and up to 10 time the fatigue life of urethane.